Banjo bolts There are 18 products. Banjo bolt, AN3, stainless steel, 20mm. Stainless Steel Fitting. Tight secure & leak free connection. Banjo bolt, AN3, stainless steel, 25mm. Stainless Steel Fitting. Tight secure & leak free connection. Banjo bolt (banjo bolt) AN4 , stainless steel, 25mm. Stainless Steel Fitting. Tight secure & leak free connection. 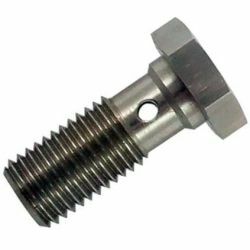 Banjo bolt (banjo bolt) AN4, stainless steel, 32mm Stainless Steel Fitting. Tight secure & leak free connection. 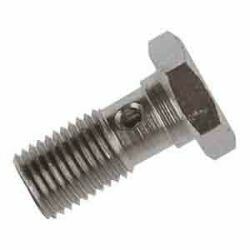 Banjo bolt (banjo bolt) M10x1, stainless steel, 20mm. Stainless Steel Fitting. Tight secure & leak free connection. Banjo bolt (banjo bolt) M10x1, stainless steel, 24mm. Stainless Steel Fitting. Tight secure & leak free connection. 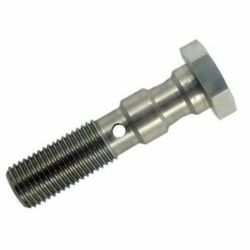 Banjo bolt (banjo bolt) M10x1,25, stainless steel, 20mm. Stainless Steel Fitting. Tight secure & leak free connection. 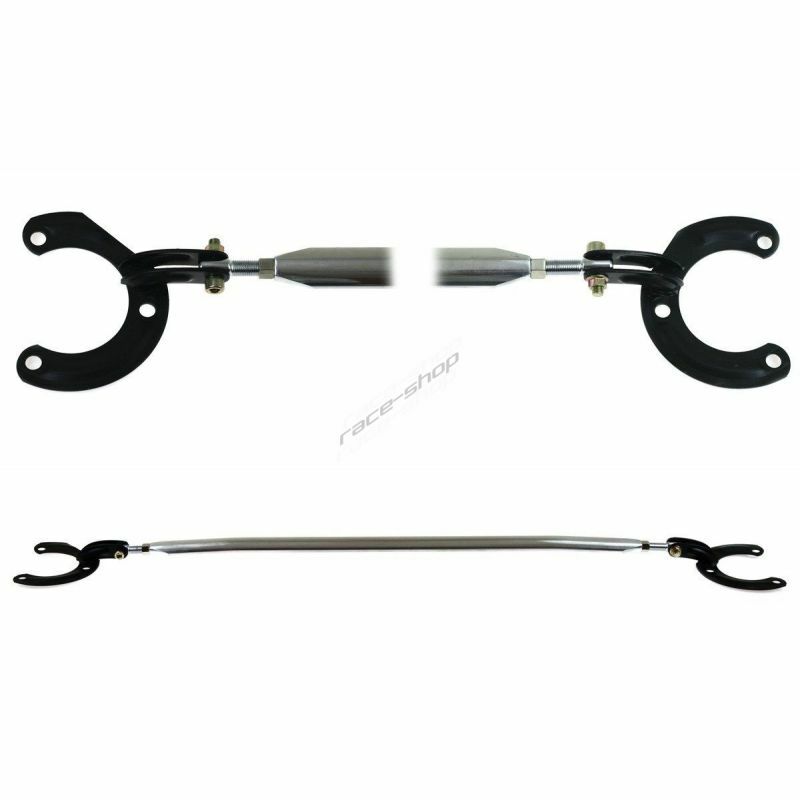 Banjo bolt (banjo bolt) M10x1,25, stainless steel, 24mm. Stainless Steel Fitting. Tight secure & leak free connection. Banjo bolt M10x12x1, stainless steel, 31mm. Stainless Steel Fitting. Tight secure & leak free connection. Banjo bolt M12x1,25 stainless steel, 31mm. Stainless Steel Fitting. Tight secure & leak free connection. Banjo bolt M12x1,5, stainless steel, 31mm. Stainless Steel Fitting. Tight secure & leak free connection. Double banjo bolt AN3, stainless steel, 31mm. Stainless Steel Fitting. Tight secure & leak free connection.